There are many different resources that can be used to provide information on network performance but few are as illustrative as syslog messages. Syslog servers allow network administrators to access syslog messages to conduct Quality of Service (QoS) monitoring. Syslog is essentially a protocol used to send event messages between different devices and applications on a network. These messages are vital for network monitoring because they provide you with important information. For instance, you can use these messages to identify if your network is performing poorly or if you’re experiencing malicious activity. Syslog servers allow the user to access system logs and to use them to diagnose network problems. This is an application rather than a server which has the potential to access these messages. 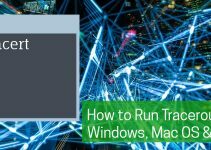 In this article we’re going to look at some of the Best Free Syslog Servers for Linux and Windows. SolarWinds Kiwi Syslog Server is a nimble syslog server that allows users to access their syslog messages through one centralized interface. SolarWinds Kiwi Syslog Server is one of the most convenient tools to use because it is accessible online. Online access means that this platform is low-maintenance in terms of deployment for larger organizations. The great thing about SolarWinds Kiwi Syslog Server is that it acts as a syslog monitoring platform as well. You receive alerts in real-time based on what information is found in your syslog messages. This means that you don’t have to manually read through all the syslog messages to know what is happening as the program will keep you updated automatically. 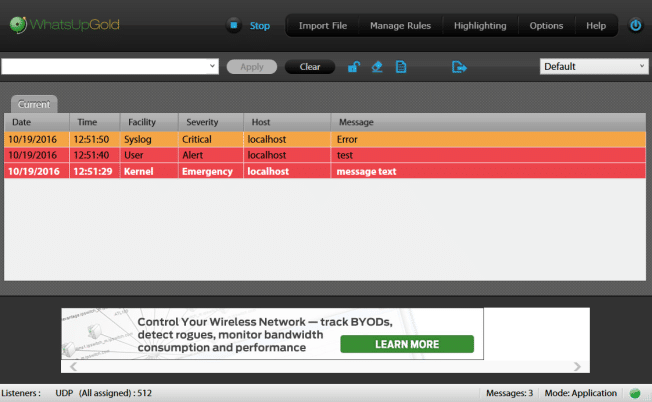 Alerts eliminate the hassle of trying to monitor your syslog messages on an ongoing basis. If you want to take a proactive approach towards managing your Syslog messages you can do so in SolarWinds Kiwi Syslog Server by scheduling reports. These reports will be sent to your email address detailing all the latest events on your network. Having reports available through your email makes it easier to consult your records about what is happening as well as being able to pass information along to other members of your team. Volume is another thing that this tool does very well. It is not uncommon for syslog servers to get overwhelmed with the volume of data generated by larger networks. SolarWinds Kiwi Syslog Server has advanced message buffering which supports up to 10 million syslog messages and 1,000 email messages. In addition once you’ve taken your data onboard you can filter it by host name, host IP address, and time of day to make it easier to find. This supports larger organizations nicely. SolarWinds Kiwi Syslog Server is our top pick for enterprises looking to monitor their syslog messages on an ongoing basis. Whether you’re dealing with a large network or a small one, this program has the resources to support you. SolarWinds Kiwi Syslog Server can be downloaded for $295 (£222) per install. There is also a 14-day free trial which can be downloaded from this link here. Paessler PRTG has generated a lot of attention as one of the most cost-effective network monitoring tools available. What is often overlooked is its aptitude for running syslog analysis. 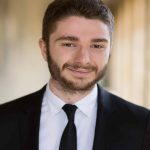 With a variety of unique sensors such as the Syslog Receiver sensor, PRTG can breakdown syslog messages and store them. As a high-quality product PRTG allows you to configure alarms which are triggered based on the type of syslog messages the program receives. In the event that a serious issue is detected, the system will send you an alert to advise you to take action immediately. This effectively prompts you to action rather than having to rely on your own observational skills alone. 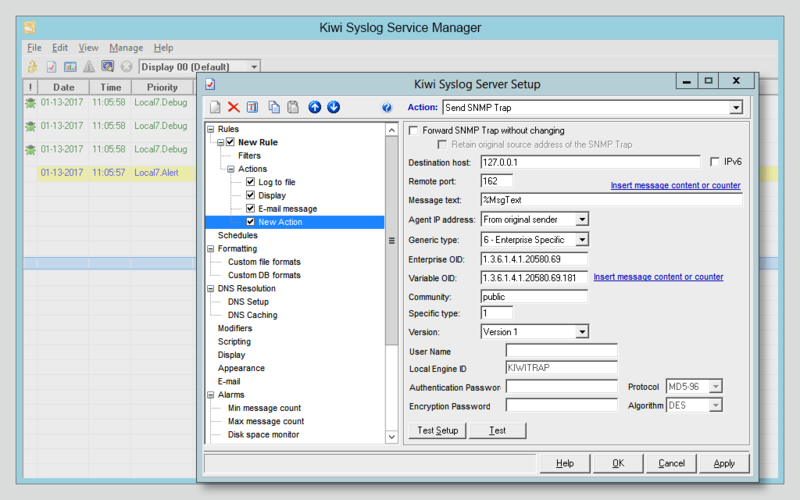 There is also the option to filter which syslog messages you receive. You can do this by going to the sensor settings and entering your custom settings. This is beneficial because it allows you to cut down on the amount of raw information you see and to view something specific instead. 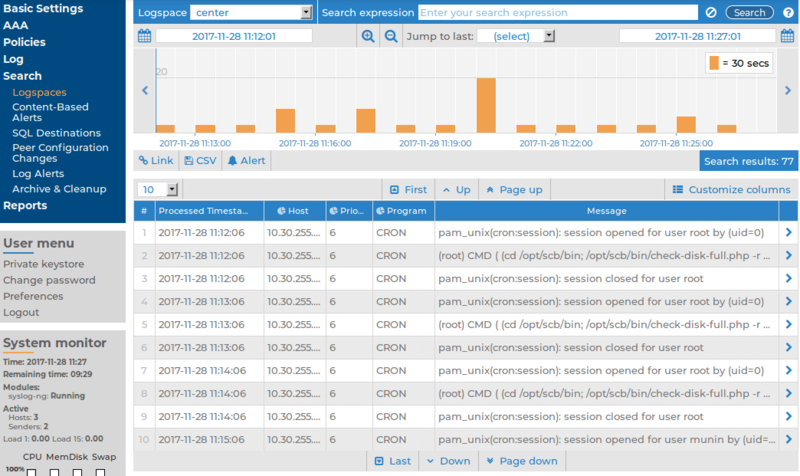 Filtering what you see is one of the keys to monitoring a large body of syslog messages. PRTG is a platform that is good for organizations of all sizes but excellent for smaller networks. 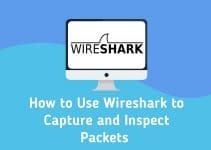 There is a freeware version available for networks with less than 100 sensors. If this is not suitable for your needs, there are many different pricing options from $1600 (£1,207) for 500 sensors to $14500 (£10,945) for unlimited sensors. A comprehensive list of pricing options can be found here. Alternatively, you can download a free trial from this link here. ManageEngine EventLog Analyzer is a formidable syslog server available for Windows and Linux users. This platform not only has the ability to monitor syslogs but can also monitor SNMP messages as well. One of the most compelling features offered by ManageEngine EventLog Analyzer is its autodiscovery feature. The autodiscovery feature automatically recognises devices in the connected network and registers them in the system. This is good news for administrators because they don’t have to configure everything manually. One of the appeals of this product is that it has built-in security measures. For example, log data is encrypted to make sure that unauthorized entities can’t get hold of it. Similarly, recorded data is hashed and time-stamped so that its integrity can be identified at a later date. These features leave enterprises in good stead for regulatory compliance in a number of industries. Visually, ManageEngine EventLog Analyzer has a variety of graphical displays such as bar charts which make it easy to read network data quickly. You also have the ability to query and filter syslog messages so that you can find exactly what you need. Running queries reduces the amount of time spent looking for the relevant information. ManageEngine EventLog Analyzer is free for organizations using less than five log sources. 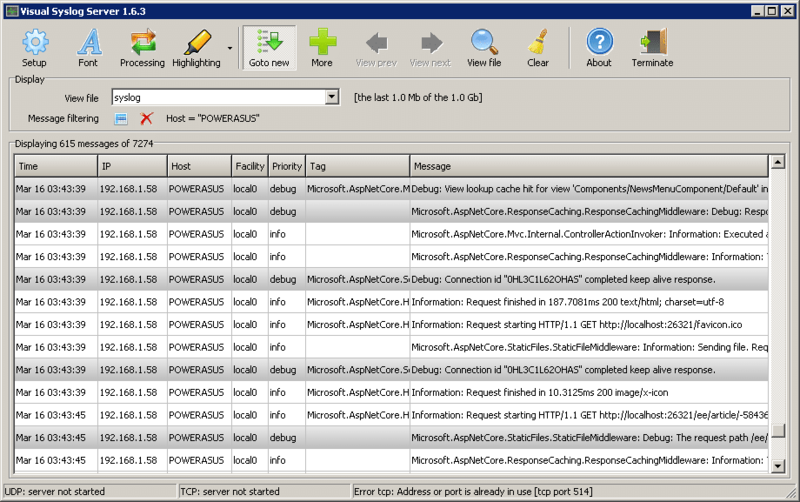 Paid versions of ManageEngine EventLog Analyzer are available from $795 (£600) and up. 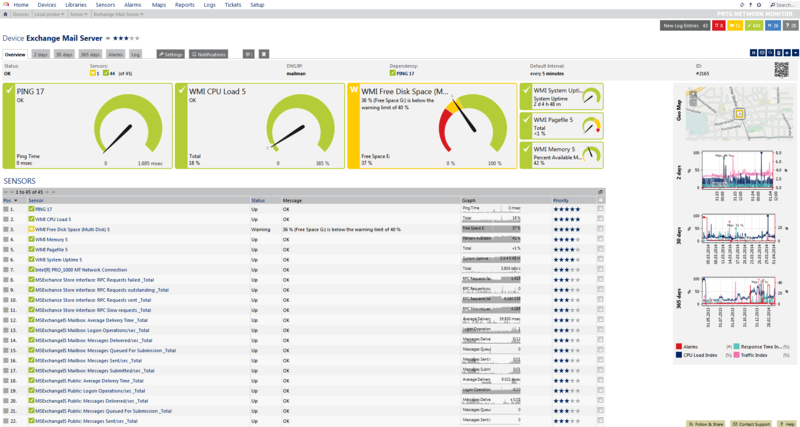 ManageEngine EventLog Analyzer’s excellent security features, refined user interface, and competitive price point make it one of the best tools available right now. The free version of ManageEngine EventLog Analyzer and a 30-day free trial can be downloaded from this link here. Next up we have the open source network monitoring powerhouse Icinga 2. Icinga 2 has a plug-in that deals specifically with syslog messages. Once you’ve collected data from your network you can view it in the form of graphs and charts to refer to. What sets Icinga 2 apart from other tools on this list is its RESTful API which allows you to modify your configurations as needed. This is secured with SSL to ensure that all sensitive information stays safe. Icinga 2 also has a web-based application which makes it one of the easiest tools to deploy on this list. On the web-based user interface you can customise your experience with a variety of modules and themes. This helps you to create a monitoring environment that is familiar to you. Given that Icinga 2 is known as one of the top network monitors it is no surprise that it has a versatile alerting feature. Whenever a significant network event takes place you will receive an alert via email or text message. You can also divide alerts among multiple users, choosing who gets notified about what. 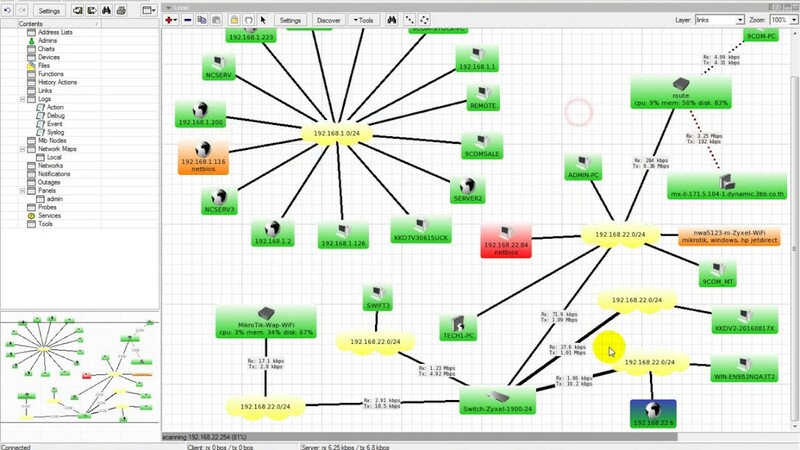 This helps to orchestrate a targeted response to key network events. Icinga 2 is a tool that is aimed towards users looking to use a Command Line Interface (CLI). It functions well as a syslog server but is truly a network monitoring tool. As an open source product Icinga 2 is available for free. You can download Icinga 2 for Windows, Debian, Ubuntu, Fedora, and RHEL here. MikroTik’s The Dude is a network monitoring application that has been one of the go-to tools of network administrators for quite some time. The Dude has its own syslog server which enables the user to conduct remote logging (through the use of RouterOS). 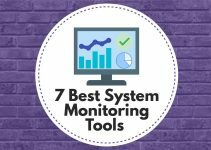 As a network monitor with syslog monitoring capability this is a great choice for organizations operating on a shoestring budget. Even though the The Dude has a basic design it functions well for monitoring syslog messages. This is mainly because you can filter logs to determine what you see when searching through your data. Filtering is an essential part of The Dude because it allows you to focus on specific messages rather than getting bombarded with everything. As a network monitor The Dude is surprisingly well-made. You are supported by an autodiscovery feature which automatically identifies devices throughout your network. Autodiscovery eliminates the need to manually configure network devices. With regards to monitoring ability, The Dude supports a healthy spread of SNMP, ICMP, DNS, and TCP monitoring. While The Dude isn’t a state of the art program by any means, it delivers a reliable network monitoring experience that lends well to syslog management. The Dude is available for Windows, Mac OS, Darwine, and in a Linux Wine environment. You can download The Dude from this link here. Visual Syslog Server is a syslog server that takes an old school approach towards syslog monitoring. With Visual Syslog Server you can view syslog servers live as they come in. This platforms accepts messages from devices via UDP and TCP. Once messages are received they are stored on a disk. The clearcut storage keeps your previous syslog messages within reach for future analysis. You can also use Visual Syslog Server to filter your syslog messages based on what you’re looking for. You can filter based on host, source address, priority, facility, or message content. This ensures that you’re able to separate the trees from the forest when dealing with a large volume of data. Another useful feature is that of notifications. Whenever a message has been received that might need a quick response you are sent an email notification. Likewise, there is also a Show Alarms window so you can keep on top of alerts as they come in and respond to the most pressing issues first. Visual Syslog Server doesn’t have a stunning interface, but it monitors syslog messages just fine. Visual Syslog Server can be downloaded for Windows XP and up, as well as Windows Server, 2003, 2008, and 2012. Visual Syslog Server can be downloaded for free from this link here. When it comes to syslog servers for Linux, Graylog is hard to beat. GrayLog is being used by over 25,000 organizations worldwide. Most of your interaction with Graylog will take place through the web-GUI. The dashboard is fully customizable. You can create dashboards to present a personalized perspective of your network. Users can add pie charts and graphs to the dashboard as needed. This allows you to decide the basic components of your day-to-day monitoring environment. What really sets Graylog apart from the competition is the strength of its security features. When an event like multiple failed logins or a device fault emerges you can have an email sent directly to you. Likewise, Graylog can block IP ranges automatically once it recognises an attack. This ensures that your monitoring environment stays secure and you don’t run into unexpected downtime. 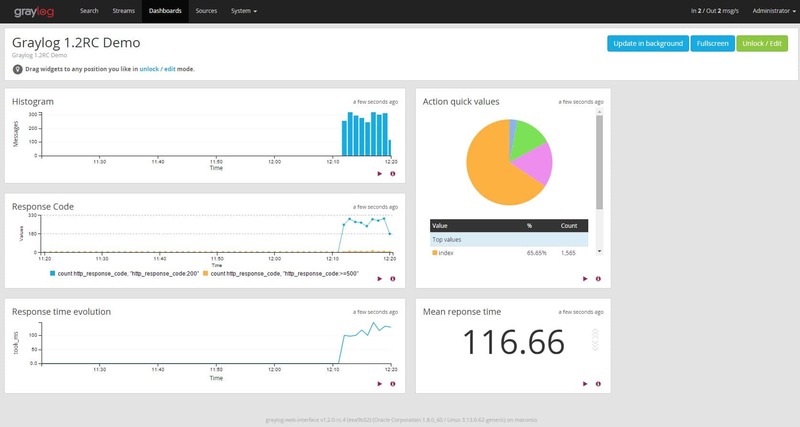 If you’re on a Linux device then we strongly recommend you check out Graylog. Unfortunately, Graylog is only free if you use less than five gb of data per day. While this is okay for smaller networks it isn’t suitable for larger organization. You can download Graylog from this link here. As the name suggests, SNMPsoft Syslog Watcher is a program that has been designed specifically with syslog monitoring in mind. This product supports UDP, TCP, Ipv4 and IPv6, making it diverse enough to meet the needs of most organizations. Large enterprises appear to be this product’s target market as this product has been tailor-made to work under a high volume of syslog messages. One of the most useful elements of SNMPsoft Syslog Watcher is that you can export to both databases and files. You can export to SQL, NoSQL and file-based databases as well as exporting to text files such as CSV, XML and JSON. THis means you don’t have to monitor all of your messages through the program; you can export them and look at them elsewhere. SNMPSoft Syslog Watcher also offers a solution to keeping tracking of the different types of syslogs with the ‘vendor pack’. This contains details on over 14,000 syslog messages and what they mean. This is a useful resource for those moments when you need to take action to address a certain type of syslog message. Whether you’re an experienced administrator or a newbie this is incredibly useful. Although this syslog monitor is suitable for both large and small organizations it is only free for home users. It can be downloaded on Windows XP, Vista, 7, 8, 8.1, 10, 2003, 2008, 2012, and 2016. SnmpSoft Syslog Watcher can be downloaded from this link here. Syslog-NG is a Linux-based open source syslog server that provides a robust syslog monitoring experience. Syslog-ng has support for BSD syslog, RFC5424, and JSON. What makes this server a quality offering is that you can design plugins to expand the platform’s basic functionality. You can create new modules with C, Python, Java, Lua and Perl. 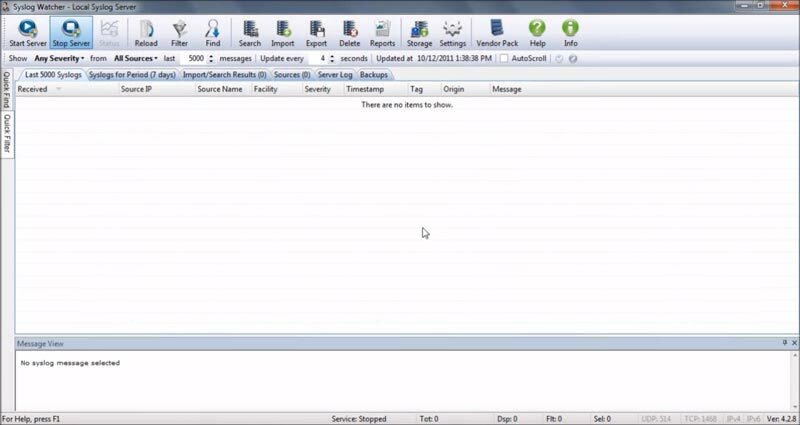 This program also allows the user to store log messages in a database. You can store messages in SQL, MySQL, PostgreSQL, Oracle and MongoDB. This allows you to keep your messages on hand for future reference. The main limitation of the program is that you don’t have a comprehensive dashboard through which to monitor your data. As such you’ll need to use a third-party analysis tool to complement this tool. As an open source platform Syslog-NG is completely free to use. While it has the foundations of a quality syslog server its lack of a comprehensive dashboard is a considerable drawback. if you’re looking for a platform to conduct genuine network monitoring then you’ll be better off with another product. Syslog-NG can be downloaded from this link here. If you’re familiar with network monitoring tools then you’ve probably heard of WhatsUp Gold. However you might not have heard about WhatsUp Syslog Server which is a free utility used to conduct syslog monitoring. With WhatsUp Syslog Server you can monitor messages in real time. This program has the bandwidth to monitor an impressive 6 million messages per hour. This volume of messages is more than enough to keep up with most organizations’ needs. Monitoring syslog messages is just the tip of the iceberg in terms of this server’s potential. You can dictate how syslog messages are handled. For example you can say how messages are processed and filtered. You can also decide what messages you want to receive alerts for. If this isn’t enough monitoring you can also forward messages to third-party applications for a more thorough look. Whether you are tempted to deploy WhatsUp Gold or not, we recommend downloading WhatsUp Syslog Server as a standalone if you want a simple syslog monitoring experience to work with. In order to download WhatsUp Syslog Server, you need to fill out a contact form before being given a download link. Of all the syslog servers on this list we find SolarWinds Kiwi Syslog Server to be the best. The mix of a straightforward web-GUI and an alerts system makes it easy to stay on top of your syslog messages. Monitoring syslog messages gives you an extra level of scrutiny that helps to keep you protected against threats and poor service. After all part of the battle to maintain your network is simple visibility. If you’re not currently monitoring your syslog messages then you should be. These messages are undoubtedly one of the most useful resources at your disposal. The right syslog message can let you know when your network is going off the rails. A product like SolarWinds Kiwi Syslog Server will keep you posted with alerts and make sure that you take the necessary steps to prevent future downtime.